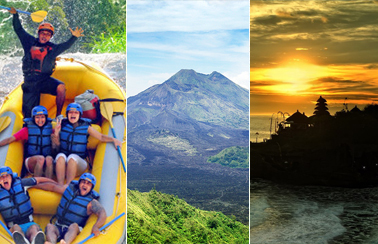 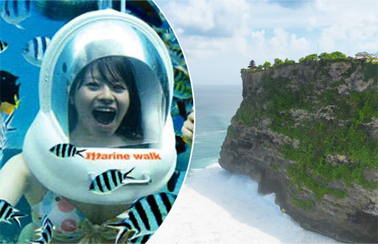 Combination Tours in Bali that allow travelers to cut time and expenses on their Bali vacation. 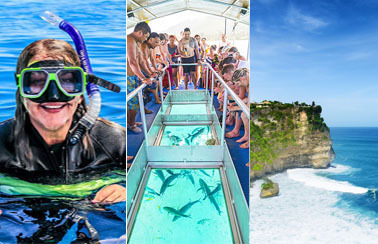 Combining two different experience between adventure activity and sightseeing in one tour it a great choice for the one that wants to do it all! 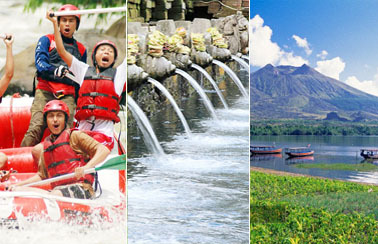 The activities inside the packages are: rafting, elephant ride, atv ride, water sports, cycling, river tubing, bird park, safari park, and trekking. 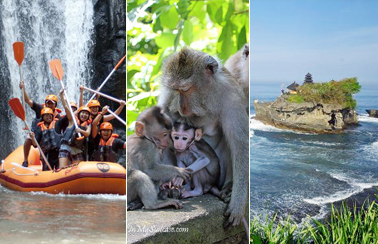 The places like; Kintamani Volcano, Ubud, Tanah Lot Temple, Tegalalang Rice Terraces, Taman Ayun Temple, and Uluwatu Temple, and much more which always figure in the itinerary of Combination Tours in Bali. 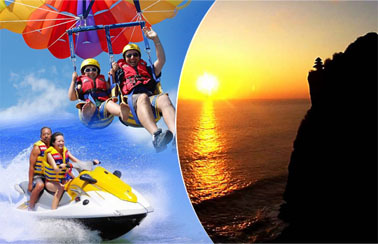 Expert and knowledgeable guide will assist you to make your holiday more convenience. 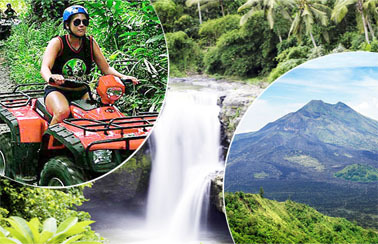 The benefits like; lunch, dinner, entrance fees and tickets, insurance, convenience private a/c vehicle, and other that are compiled to be the attractive tours in Bali.